WWE Hall of Famer Edge took part in many great pay-per-views throughout his career. He was winner of the 2010 Royal Rumble, and The Ultimate Opportunist headlined WrestleMania XXIV against The Undertaker. Of course, one of The Rated R Superstar's most memorable PPV moments also took place at New Year's Resolution 2006, when he cashed in his Money in the Bank contract to beat John Cena for the WWE Championship. "I think WrestleMania 17, everything's subjective, but if it's me, that's the best card and the best pay-per-view ever and just because of the totality of it. From opening match to last match, everything delivered," he said. That show featured 12 matches, and it included an epic TLC match featuring Edge and Christian against The Dudley Boyz and The Hardy Boyz for the WWF Tag Team Championships. Edge and Christian were victorious in winning a bout that lasted 15:47. But that was far from the only great match that took place at the Reliant Astrodome in Houston. 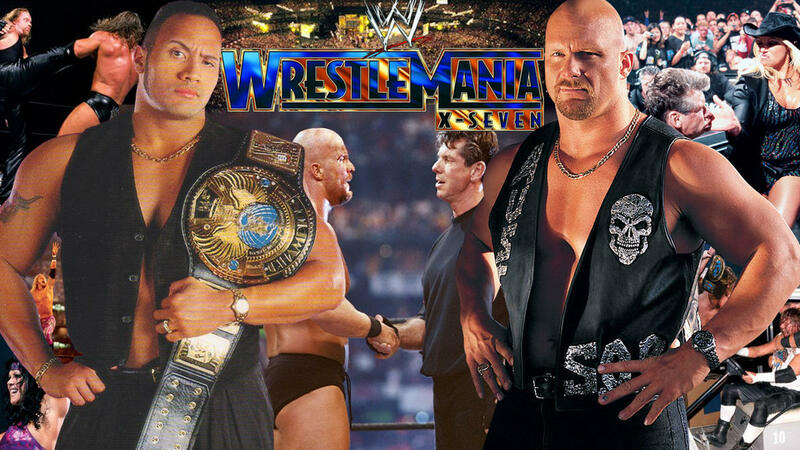 The main event saw 'Stone Cold' Steve Austin defeat The Rock in a No Disqualification match to become the new WWF Champion. The match became more memorable once Austin turned heel and aligned himself with Vince McMahon - his long-time storyline nemesis. Other matches saw Shane McMahon defeat father Vince in a Street Fight, after Linda came out to help her son win the match. The Undertaker also defeated Triple H to maintain his perfect WrestleMania streak, and Chris Jericho got the best of William Regal in a singles match that featured two rising stars. WrestleMania 17 did receive high praise from critics - which included a perfect rating from John Powell. Dave Meltzer also ranked it as the Best Major Show for the year 2001 - so Edge is far from the only person who thought great things of this pay-per-view.